Strictly Come Dancing is set to pay tribute to the late Bruce Forsyth during the 2017 launch show and it sounds like it’s going to be emotional. 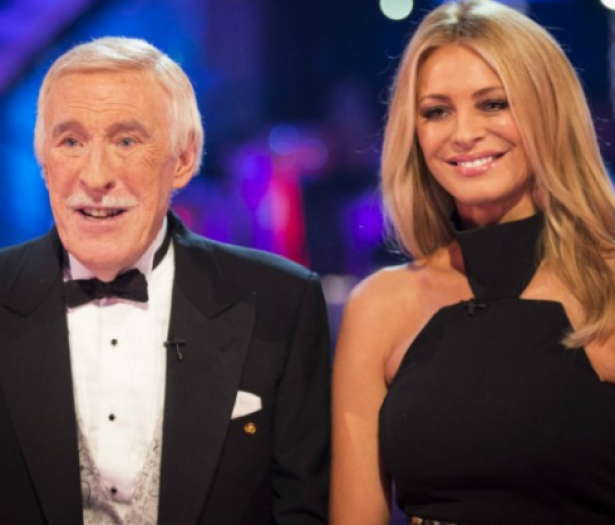 It was announced last week that Bruce – who hosted Strictly alongside Tess Daly from 2004 until 2013 – had sadly passed away aged 89 and Strictly bosses have now revealed that the programme will fittingly remember him through a special dance. ‘The thoughts of everyone here at Strictly are still very much with Sir Bruce’s family,’ a statement from executive producer Louise Rainbow reads. ‘Of course, we will be paying tribute to Sir Bruce at our launch show and this will include a heart-felt performance from our Strictly professional dancers. An accompanying message on Strictly’s Twitter account adds: ‘We’ll pay tribute to Sir Bruce, in the best possible way. Through his love for dancing.’The news has been met with approval from fans and many are already preparing themselves for what will surely be a tear-jerking moment. ‘It will be a very emotional show and a fantastic tribute to Bruce,’ one commented on social media. News of Bruce’s death was met with great sadness from many of those who worked with him on Strictly, with tributes pouring in from the likes of his former co-host Tess, new presenter Claudia Winkleman and many former contestants. The 89-year-old star and legend of the entertainment world had been unwell for some time. He was hospitalised back in March, spending five days in intensive care following ‘very serious’ health concerns, and had been out of the limelight ever since. Bruce last hosted Strictly in 2015 when he presented the Children In Need special with Tess. This tribute is surely going to be a very emotional watch.